Posted on March 16, 2013	by Steven R. Cook, D.Min. Everyone lives by faith; it’s a fact of life. We trust in things and people in order to live from day to day. We trust in chairs to support us, cars to transport us, employers to pay us, telephones for communication, and so on. Over time we learn that some things and some people prove more reliable than others. Unfortunately, everything and everyone in this world eventually fails, as everything wears out and winds down. The only exception is God and His Word (Deut. 31:8; Matt. 24:35). When Moses was nearing death, he gave Joshua instructions about leading the Israelites into the Promised Land, and he said “The LORD is the one who goes ahead of you; He will be with you. He will not fail you or forsake you. 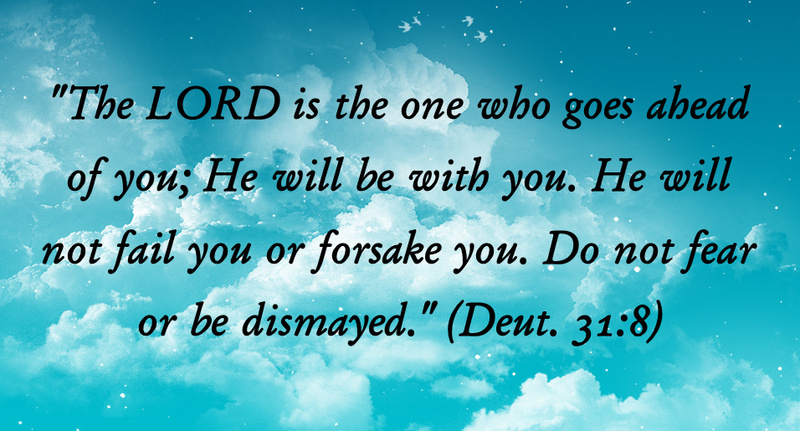 Do not fear or be dismayed” (Deut. 31:8). It’s easy to be afraid when you’ve had someone fail you over and over again. However, God never fails His people and His faithfulness is a repeated theme throughout Scripture (Deut. 4:31; Josh. 1:5; 1 Chron. 28:20; Zeph. 3:5; 2 Thess. 3:3). As the believer studies the Bible, he learns that God has perfect integrity and always keeps His promises. The believer only benefits from his study of Scripture when he learns to trust in God and to take Him at His Word. It’s only by faith that we receive the blessings God offers. Faith as a noun (pistis) refers to what is believed and often points to a body of teaching (Acts 14:22; 16:5; Rom. 14:22; Gal. 1:23). Faith as a verb (pisteuo) refers to the act of believing and means to believe, trust, or has confidence in something or someone (John 3:15, 16, 18, 36; 20:31). Faith as an adjective (pistos) describes someone as faithful, reliable, or trustworthy and is used both of man (Matt. 25:23; Col. 1:7; Heb. 3:5), and God (1 Cor. 1:9; 10:13; Heb. 10:23). Faith demands an object as it must have something or someone upon which to rest. To receive salvation, the unbeliever is told to “believe in the Lord Jesus, and you will be saved” (Acts 16:31a). For the unbeliever, faith in Christ is exercised with a view to receiving a benefit, and that benefit is eternal life (John 3:16). To be clear, faith does not save; God saves! Faith is merely the means by which the unsaved person receives salvation, as God alone does the saving. Though we may exercise faith and receive a benefit, the object always gets the credit, and in the case of our salvation, God alone gets the glory. Faith is never blind, but is an intelligent act of the will by the believer who hears and understands God’s Word, as “faith comes from hearing, and hearing by the word of Christ” (Rom. 10:17; cf. 14:23; Heb. 4:2; Jas. 1:22). As he learns to live by faith, the growing Christian will submit to God (Rom. 12:1), claim promises (Rom. 8:28; 1 Cor. 10:13; 1 John 1:9), give his cares to God (1 Pet. 5:6-7), overcome fear (Deut. 31:6-8; Isa 41:10-13), love others (1 Thess. 4:9), rejoice always (1 Thess. 5:16), pray continually (1 Thess. 5:17), be thankful (1 Thess. 5:18), and live with a relaxed mental attitude (Isa. 26:3; Phil. 4:11). Faith will be tested (1 Pet. 1:6-7), faith is the only thing that pleases God (Heb. 11:6), and faith should be exercised daily in the Christian’s life as a manifestation of the Holy Spirit (Rom. 1:17; Gal. 5:22-23). Until Christ returns, we remain in this world and to some degree must trust in people and things to live from day to day; however, we should realize that people fail (Jer. 17:5), money fails (Ps. 62:10), governments fail (Ps. 146:3), and even the creation fails us because it behaves in an unpredictable manner; just ask any meteorologist. Though we rely in a small way in the things and people of this world, ultimately, we should be looking to the Lord Himself, knowing that He alone never fails us and that His promises are always true and reliable (2 Cor. 1:20; 2 Pet. 1:2-4). Satan will strive to get the believer to rely on anything and everything other than God and His Word. If the believer falls into Satan’s trap, he will experience anger, frustration, worry, anxiety, depression, and eventually a deep rooted sense of despair and apathy. Where God and His Word are absent, in that place darkness can settle. Occasionally the believer may look away from the Lord and become fixed on another person or the darkness in this world and find himself full of anxiety; however, relapse does not have to lead to collapse, as the believer can turn back to God and live by faith in the Lord. God wants us to have joy (Neh. 8:10), peace (Is. 26:3), love (1 Jo. 4:16-17), contentment (Phil. 4:11-13), and every other attitude that brings an abundant life (John 10:10). Only through faith can we know the blessings that belong to every Christian. This takes time, study, and willingness to trust God at His Word. Without faith, we cannot win. With faith, we cannot fail. When the believer is living by faith in God on a regular basis it produces stability in his soul. Over time, God’s Word becomes more real to him than his feelings or ever changing circumstances. God’s Word is stable and always true, whereas our feelings and circumstances constantly change. God’s Word provides us a true estimation of the world as it really is, and His Word gives us a basis for stability in our thinking as well as the choices we make on a daily basis. The Bible gives us truth that is certain, though our feelings and circumstances are unstable. We may feel good and be completely in sin, or we may feel bad and be completely in God’s will. Jesus was always in the will of God, though there were times He felt grieved and distressed. The Scripture declares that Jesus was, “despised and forsaken of men, a man of sorrows and acquainted with grief” (Isa. 53:3). And just hours before His crucifixion, Jesus “began to be grieved and distressed” (Matt. 26:37), telling a few of His disciples, “My soul is deeply grieved, to the point of death” (Matt. 26:38). Even during His time of human rejection and sorrow, Jesus was sustained by the Holy Spirit (Heb. 9:14). Jesus was always spiritual, even when He was experiencing emotional anguish. Emotions are wonderful, and in many ways complement our spiritual life (Acts 20:36-38; Eph. 5:18-20). However, we do well to subordinate our emotions to the truths of Scripture, for God calls us to live by faith His Word, not by our feelings (Rom. 10:17; Heb. 11:6). The believer who is advancing spiritually may fail occasionally in various situations as emotions overrun his soul. This happens to all of us, and I can think of a few godly men who failed during times of pressure and then later returned to the Lord (Elijah and Peter come to mind, see1 Ki. 19:1-18 & Mark 14:66-72; John 21:15-17). Biblically, relapse does not always mean collapse, as the Lord extends grace and calls the believer back into fellowship with Him and to resume his spiritual walk toward spiritual maturity (1 John 1:9; 1 Pet. 2:2; 2 Pet. 3:18). This entry was posted in Living by Faith and tagged faith alone, faith in Jesus, how do we live by faith, Learning to live by faith, living by fiath, saved by grace through faith. Bookmark the permalink.